Books and I are very good friends. As a child, I often carried a book around with me. I still do. I’m inspired by the words and ideas of people who are agents of change in our world and who are excellent teachers and practitioners of the processes and tools that I use. So, what have I been reading in the first sixth of 2012? Here are four texts that have enlivened me, or are currently enlivening me. 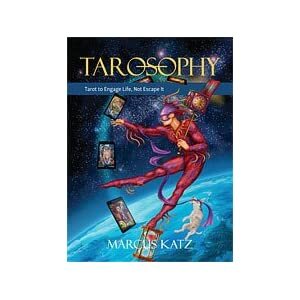 * Tarosophy: Tarot to Engage Life, Not Escape It by Marcus Katz. From basic tarot reading to developing your oracular/intuitive voice to personal spiritual evolution, Katz offers generous advice and profound and original activities. Reading it feels like being passionately coached and stretched. 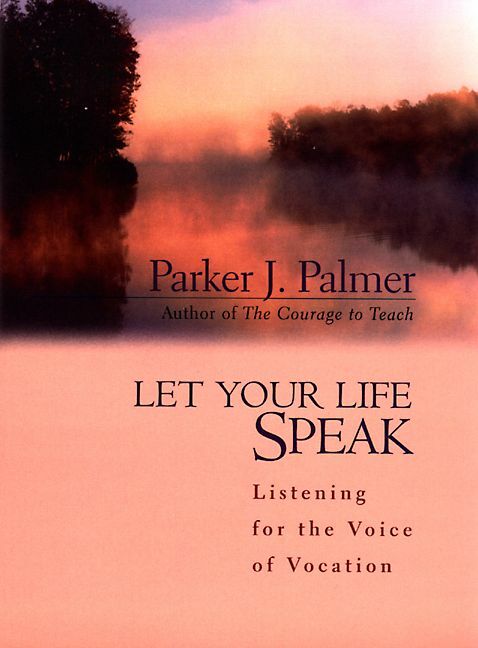 * Let Your Life Speak: Listening for the Voice of Vocation by Parker J. Palmer. A bone-honest, gentle, yet challenging invitation to listen to the inner teacher so that we can live authentic lives that want to live through us. Reading it feels like sitting at the kitchen table with a beloved uncle. * Walk Out, Walk On: A Learning Journey Into Communities Daring to Live the Future Now by Margaret (Meg) Wheatley and Deborah Frieze. A pilgrimage to seven communities around the world where groups of people have walked out of oppression or restriction and walked on toward their gifts, resilience, and inventiveness. Reading it makes me reflective, squirmy, hopeful, and creatively uncomfortable, wondering what more I might do or be in our world. * The Tarot: Methods, Mastery, and More by Cynthia Giles. OK, I’m actually re-reading this 1996 text. Not your garden variety tarot book, this one takes us and our cards on a journey through divination, bodymind wellness, personal growth, the renewal of our culture and planet, the idea of mastery, gender, language, and so much more. Reading it (again) feels like an expansion of my imagination and an alignment with the best of what tarot might be. How about YOU? What are you reading these days that enlivens something in you? Please tell us about it. * have your name entered in a draw to win cool prizes! * Send payment ($78) to James by PayPal, cheque (address will be given upon contact), or cash (in person). * We have all the presenters we need; therefore, NO presenter submissions will be accepted. * Refund Policy. Cancellations occurring on or before February 24, 2012 are eligible for a $60 refund, $18 being retained by the Toronto Tarot Symposium. Cancellations occurring on or after February 25, 2012 forfeit payment; no refund will be given. The Secret Language of Tarot (Monica Bodirsky). Tarot can be easy to interpret at a glance but most artists include a variety of personal, universal and traditional symbols that express abstract concepts. This workshop will consist of a brief introduction followed by a few simple exercises to give you access to this often-overlooked aspect of reading tarot. Welcome Spring! (Bev Haskins) The cycle of the seasons is a metaphor for the journey of growth our souls take. As we approach the Spring Equinox (March 20th, 2012 – 1:14 a.m.), it is time to push the tender seeds, that we have incubated in us all winter, toward the light. In this workshop we will let the Tarot help us define the nature of these seeds and how we can best allow them to “blossom”. Tarot and Astrology (Peter LeBlanc). Esoteric studies have linked tarot and astrology for over 200 years. You will explore some of those general links as well as get a chance to play with these elements using your own tarot deck and birth date. Bringing the Magic Out of the Tarot and Into Our Lives (Andrew McGregor). Through ceremony and the power of the natural world, we can bring the transformative power of the cards into our daily lives. We will talk about tools, techniques, and tricks to draw in the power of plants, crystals, and places to create the life we are looking for. Miss Merle’s Phantasmagorical Reading! (Marilyn Shannon). This fun, inventive way to get out of your head will prompt spontaneous brilliance in your readings as you tap into your intuition. Originally created by Rachel Pollack, this light and lively way of reading can become deep and provocative. Trust Miss Merle! The Power of Personal Layouts (James Wells). Fed up with unhelpful textbook tarot spreads? The best possible layouts for you and your seekers lie in your own imagination and life experience. In five simple steps, you’ll be able to create relevant spreads to explore life’s intricate situations through the cards! Valentine’s Day is descending upon us. Several tarot practitioners, including yours truly, were asked by Amethyst Mahoney to contribute something to her special Valentine giveaway. My own contribution is a five-card layout to help people create an intimate loveship in their lives that will be mutually satisfying. My father died on January 14. It’s been heartbreaking to bid farewell to someone who was such a welcoming and sharing presence. At his funeral, I quoted Joanna Macy: “The heart that is broken wide open can contain the entire world”, and encouraged all of us to generously and hospitably invite one another into our capacious, broken open hearts. In all of this, I accept that Dad’s death has indeed happened and I appreciate the gifts of support, love, and life-honouring that are growing from the experience. Overall, I’m doing quite well. There are moments of tears and sadness that sneak up on me, and there are moments of immense gratitude that flood me. In the spirit of what I’m saying, I offer you a new tarot layout to explore the spaciousness of your own heart that comes from the profound cracking open of that place in you. What is my deepest heartbreak? To whom or to what does this open my heart? How can I most hospitably receive him/her/it/them into my opened heart? Note: If you’re already certain of what your deepest heartbreak is, you can go through your face-up pack and consciously pick a card that most looks or feels like that experience. Use its characters and symbols to help you talk about the experience and your feelings connected with it. You can also just pick your first card at random, as usual, and allow it to take you to the heartbreak that most needs to make itself known.